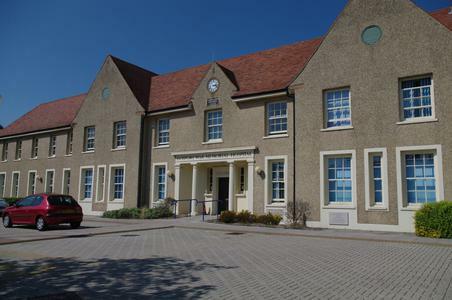 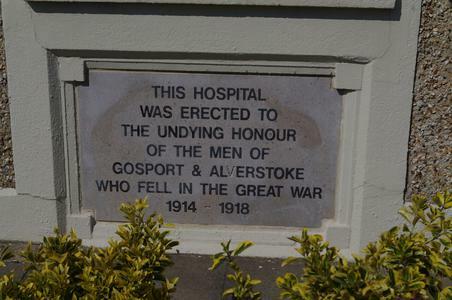 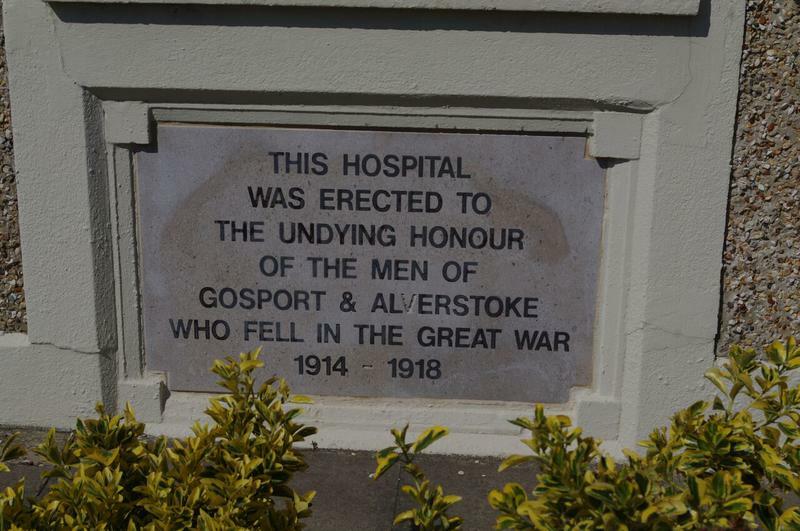 Above entrance: GOSPORT WAR MEMORIAL HOSPITAL Dedication Stone- THIS HOSPITAL/WAS ERECTED TO/THE UNDYING HONOUR/OF THE MEN OF/GOSPORT & ALVERSTOKE/WHO FELL IN THE GREAT WAR/1914-1918 Foundation Stone-THIS STONE WAS LAID/ON SUNDAY JULY 3RD 1921/BY FIELD MARSHALL/EARL HAIG K.T. The east wing was added later, and the Canon Landon Memorial Clock later still- Canon Guy Landon, Rector of Alverstoke from 1907-47 had the sad task of comforting the bereaved of the parish through two world wars and witnessed the historic separation of the parish from the Ancient Diocese of Winchester in 1927 when Alverstoke became part of the newly formed Diocese of Portsmouth and the ties of more than 1,000 years were severed. 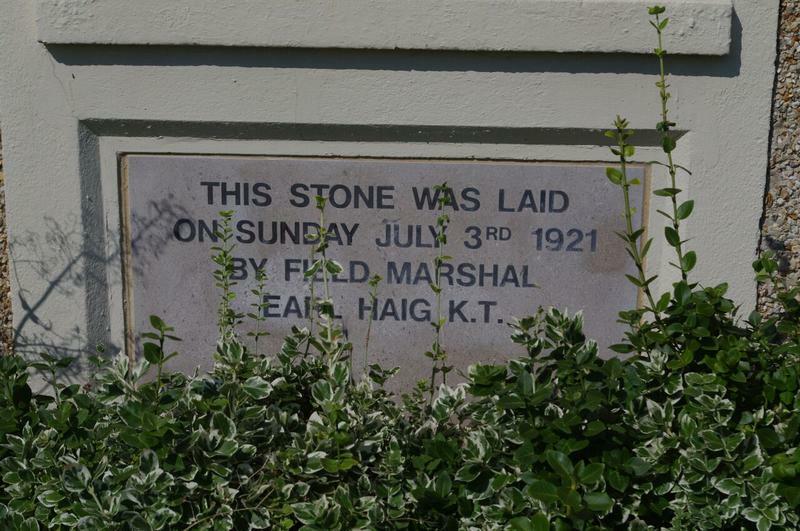 Unveiling Programme/ Order of Service 26 April 1998 Rededication service. The Times 4 July 1921 p.9 Summary of FM Earl Haig's speech at foundation stone laying.